Fiona McQuarrie has been researching and writing about work and organizations for more than 25 years. Her areas of interest include industrial relations, organizational theory, workplace diversity, management history, and the interaction between work and leisure. Dr. McQuarrie is Associate Professor in the School of Business at the University of the Fraser Valley (UFV). At UFV she has served as Associate Dean of the Faculty of Professional Studies and as Co-Chair of the Business program. She has also taught at the University of Alberta, Simon Fraser University, Athabasca University, and the University of Prince Edward Island. 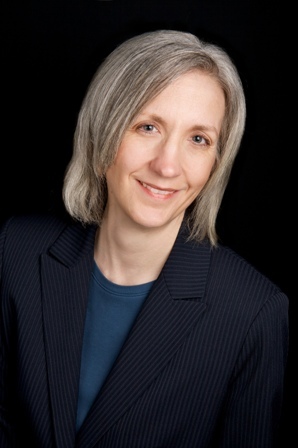 She holds a Ph.D. in organizational analysis from the University of Alberta; a Bachelor of Business Administration (with majors in business and English), an MBA, and a Certificate in Liberal Arts from Simon Fraser University; and a Certificate in General Studies from Thompson Rivers University. Dr. McQuarrie is the author of the textbook Industrial Relations in Canada, published by John Wiley and Sons. The textbook is in its fourth edition and is used at more than 30 Canadian universities and colleges. She is also the Canadian co-author of the widely used casebook Applications in Human Resource Management, published by Nelson Education. Dr. McQuarrie’s research has been published in journals such as the Academy of Management Executive, the Canadian Journal of Administrative Studies, the Canadian Journal of Higher Education, Relations Industrielles/Industrial Relations, Leisure/Loisir, and Management and Organizational History. She has presented her research findings on work and organizations at major international conferences, and has provided media commentary on many workplace issues. She is a member of the Academy of Management, the Administrative Sciences Association of Canada (where she has served on the Board of Directors as a Member-at-Large, as the Awards Chair, and as the Divisional Liaison), the Canadian Association for Work and Labour Studies, the Canadian Industrial Relations Association, and the Canadian Association for Leisure Studies. Although the title of this blog is All About Work, Dr. McQuarrie is definitely not all about work. Her non-work interests include all kinds of art, all kinds of music, and figure skating. She is an adult figure skater who has competed at local, regional, national, and international levels.